The weekend before Christmas was the weekend of family parties for me. The Forsberg family party is always the Saturday before Christmas. I am usually able to attend every other year (the years that I am not heading to Arizona for Christmas). Much fun is always had! 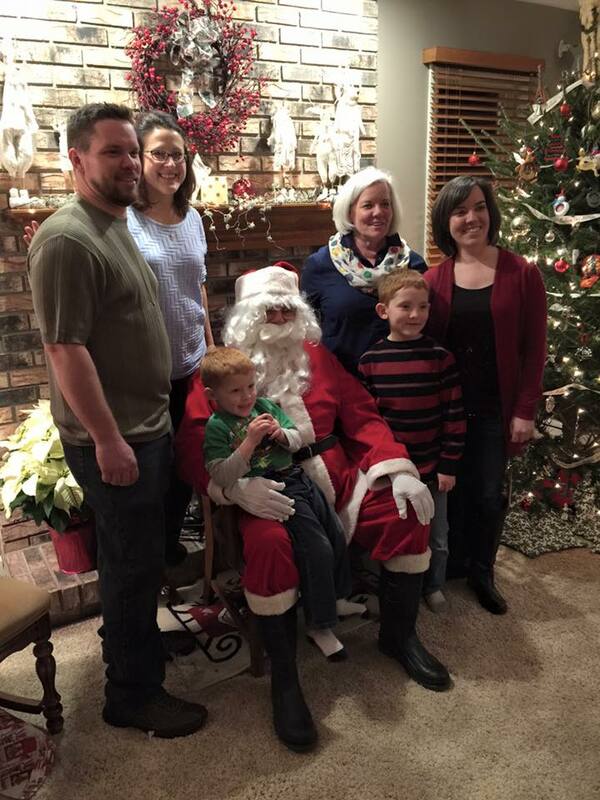 Santa comes and all the families get to take pictures with him. 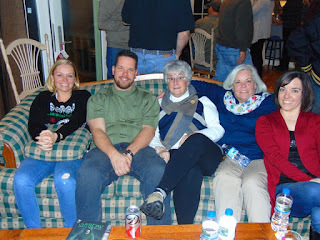 There is also much socializing, catching up, and other shenanigans going on during the evening. We almost got a good picture if it weren't for Aunt Kathy's eyes. I'm not even sure what happened. And then it went downhill from there. These are just two of the pictures, but they are part of a sequence of about 8 pictures. 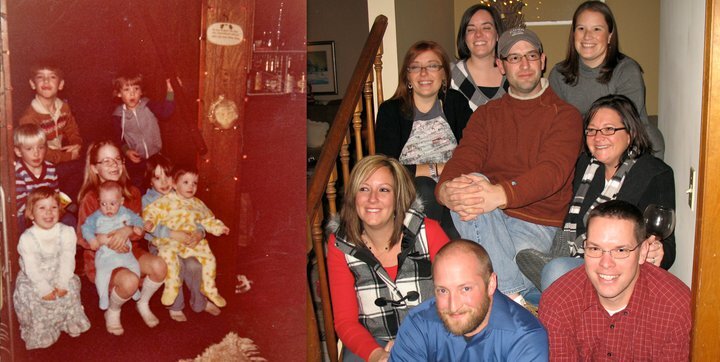 Most years, we have to re-create a childhood picture of the cousins sitting on the staircase at Grandma and Grandpa's. 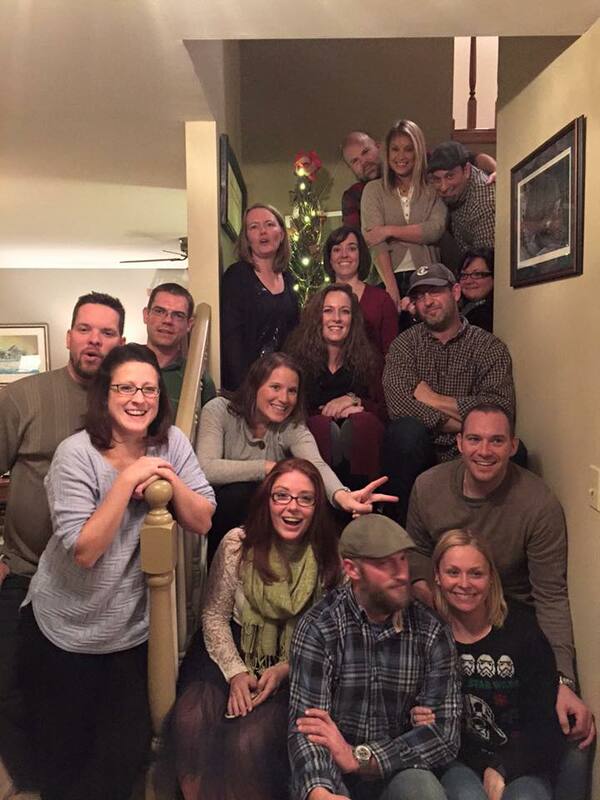 We've added spouses and we've ummm...grown in size. And the staircase is smaller. And none of this matters because the aunts are a force to be reckoned with when they want something accomplished. 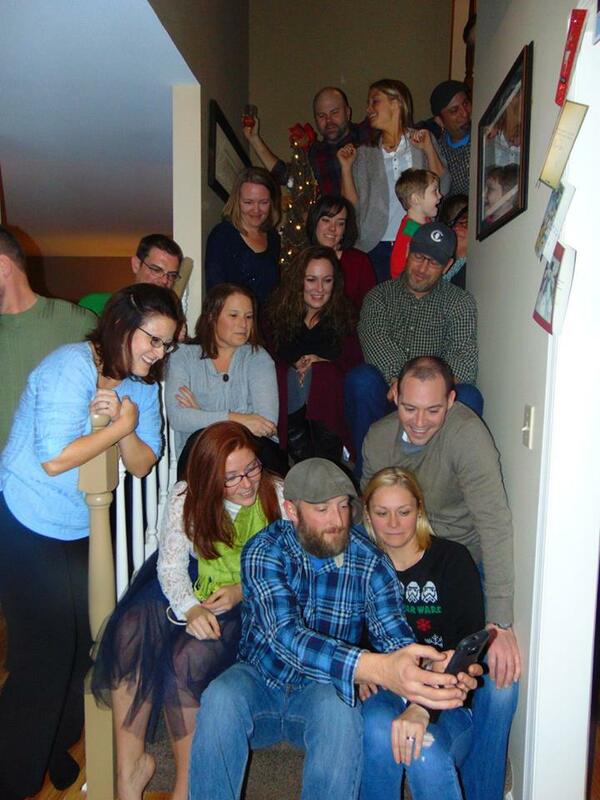 Scott took a selfie of all of us (he's on the bottom stair) but I haven't actually seen the selfie. 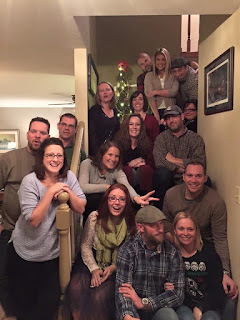 Then Sunday we headed to the Koszycki/Kaye family party. This party is, unfortunately, also held the Saturday before Christmas, so I haven't been since I was a kid. 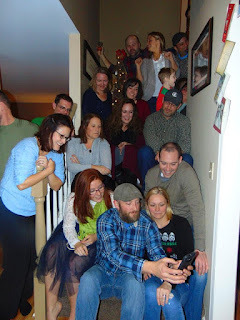 Uncle Carl decided to move it to the Sunday before Christmas so the Forsberg portion of the family could make it. 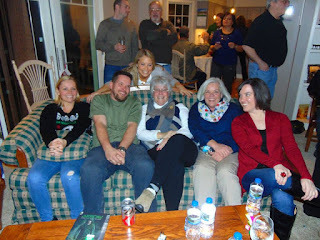 I was excited to be a part of the family and be able to catch up with many people I had not seen in way too long.